Brand: Traditional Wine Rack Co.
You can store nine bottles of wine on this wine rack from TWC. Let your wine bottles rest on oak wooden supports that are connected and reinforced by steel. You can put the rack both horizontally and vertically or even hang it on the wall. 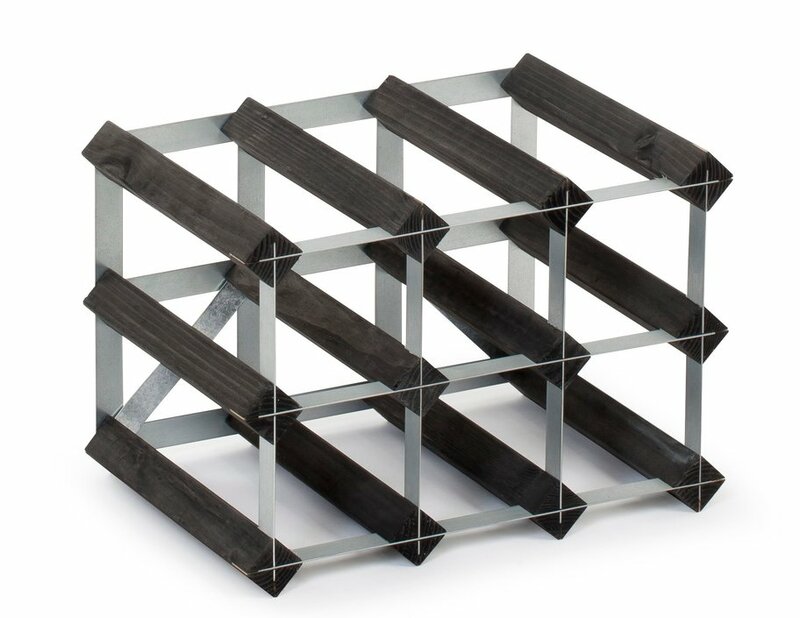 Thanks to the natural colors and the compact size, the rack fits into any interior. The sturdy rack is delivered delivered , so you can store your favorite wines directly! There is a set available with connectors to expand the rack. The British Traditional Wine Rack Co. specializes since 1947 in the design and production of wine racks for a diverse group of customers, from individuals to hotels and even royalty. With more than sixty years of experience within a passionate team, the brand always makes the best of the best for the wine lover. Traditional Wine Rack Co. constantly searches for the latest trends and technologies to find the most creative and innovative solutions for storing wine.